So its a resource manipulation deck. I won’t call it resource destruction because only HBM actually destroys resources, but multiple Wulven Tacticians and Crescent does the similar job. 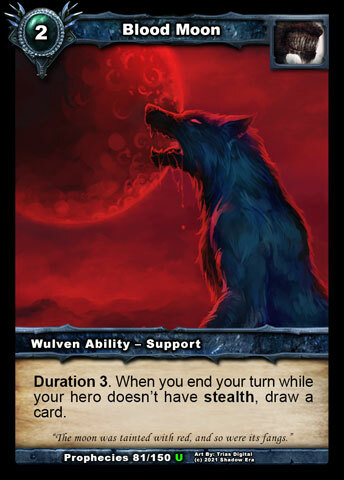 I still think Baduruu is better at this but nobody expects Bloodfang to do it as well. One major advantage however over Baduruu counterpart is lesser reliance on weapons. 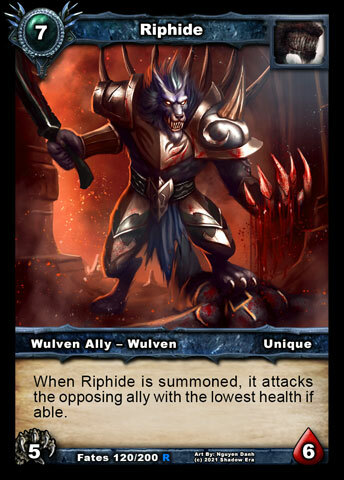 Also Bloodfang can achieve quite an explosive start with Riphipe hidden behind Griptooth or protected from abilities with Wulven Tactician. It is very effective with right start especially against Zaladar and Priests. Using ability to summon Riphide and play Tactician to delay Mind Control and then follow up with Griphtooth is one of evil plays to torture people with. Basically you are going for board lock early on. With good start you can beat pretty much any deck, but also lose to pretty much any deck with bad start. There is sort of redundancy with Blood Moon and HBM. Going second I don’t recommend playing Blood Moon if you plan on playing HBM turns 3 or 4. What will happen is that HBM will fill your hand and negate draw from Blood Moon. Instead keep Blood Moon for T5 onwards. 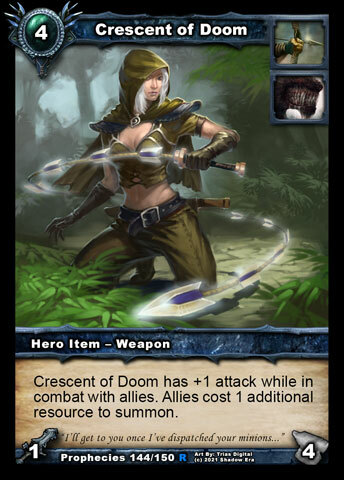 Be careful with Crescent of Doom , it rises cost of your allies as well. Luckily it doesn’t affect Bloodfangs ability and you can always play your allies first and then the weapon. 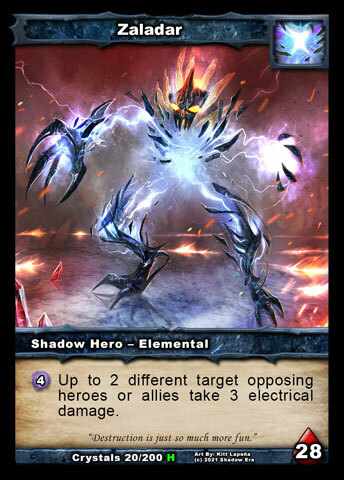 Tacticians ability stacks, meaning that if you have two of them in play: JD costs 6, SF costs 6, Tidal wave costs 7, MC costs 7… So sometimes you may want to consider using Bloodfangs ability on him so you get two or more Tacticians in play. 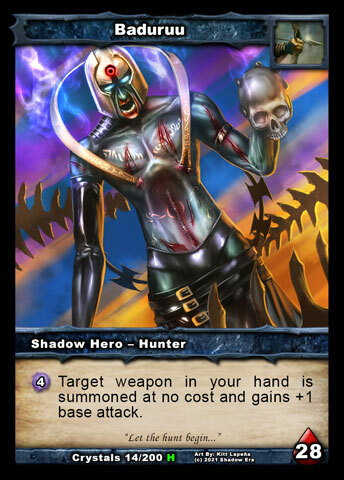 Tagged bloodfang, Here Be Monsters, resource destruction, resource manipulation, Shadow era, shattered fates, wulven.